This feature of Web API seems to be still in the alpha phase. Not all required features are implemented, it has NO SUPPORT for self hosted Web API services. A lot of the links about this are old and the most projects examples don’t work with the latest Web API version. The official ASP.NET HOWTO does work but just for MVC or IIS applications. This works as described on the ASP.NET Web API page. When you add the NuGet package to the MVC project, you have to edit your project file in the build section and also uncomment the help config, and add your xml filename. This package only works with MVC. 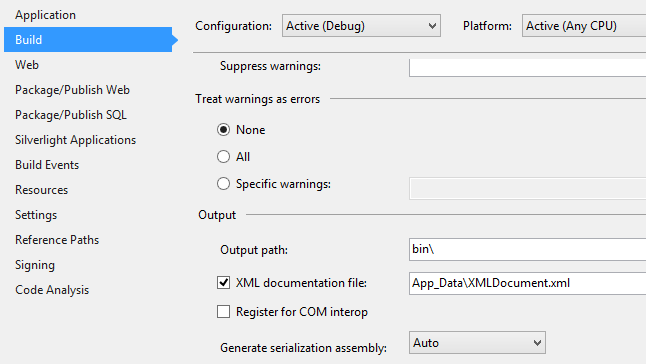 Filip W. also explains the new features for Web API Help pages included in Web API 2.1. At present it is NOT possible to create automatic help documentation for a self hosted Web API service. This is very disappointing but I suppose you can always create your own. Some old links exist for this, but the projects do not work anymore.